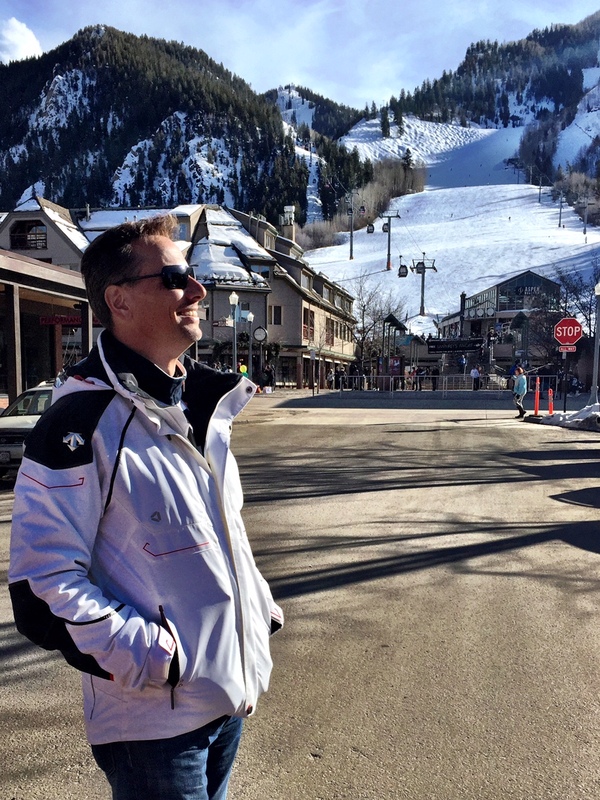 A true citizen of the world, Christian Jagodzinski has picked Aspen, the “most chic of Colorado resorts” as one of the exclusive sites for his Villazzo’s operations. This stylish Old Victorian mining town set against the towering magnificence of the Elk mountains is a world-renowned hot spot – the glamour of its superb year-round mix of outdoor recreation and stimulating dining and cultural life attracts a distinctive multicultural jetsetting crowd. Here Villazzo’s founder and CEO shares his firsthand experience of this “quaint, most charming town” and its dashing social landscape. “When the sun has set behind the mountains, head over one block to 39 Degrees Lounge in the Sky Hotel, where you can enjoy Aspen’s best burger amongst the hip après-ski crowd.” A live DJ set by the heated pool and poolside bar make it the perfect spot to try some of Aspen’s most adventurous cocktails! 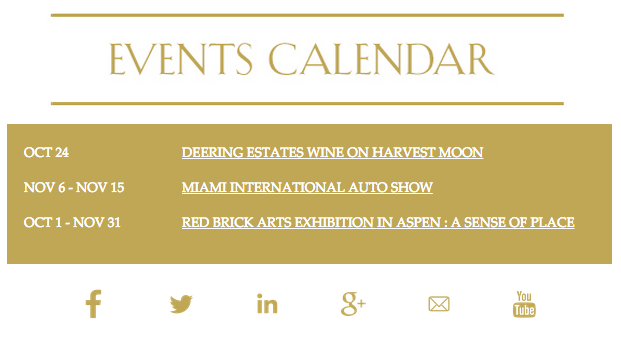 Dining in Aspen is absorbing and varied, there is everything from Austrian to Mexican to authentic French. Nobu’s outpost in town Matsuhisa is an Aspen’s dining mainstay. “My favorite dishes are the thinly sliced scallop dotted with chili and yuzu and mussels in spicy garlic sauce”. You can reserve a coveted seat downstairs for the immersive Matsu experience or hit the laid-back upstairs lounge with private seating boxes. The eclectic wine list includes an exclusive selection of sake and drinks made with shochu, a Japanese fiery spirit. 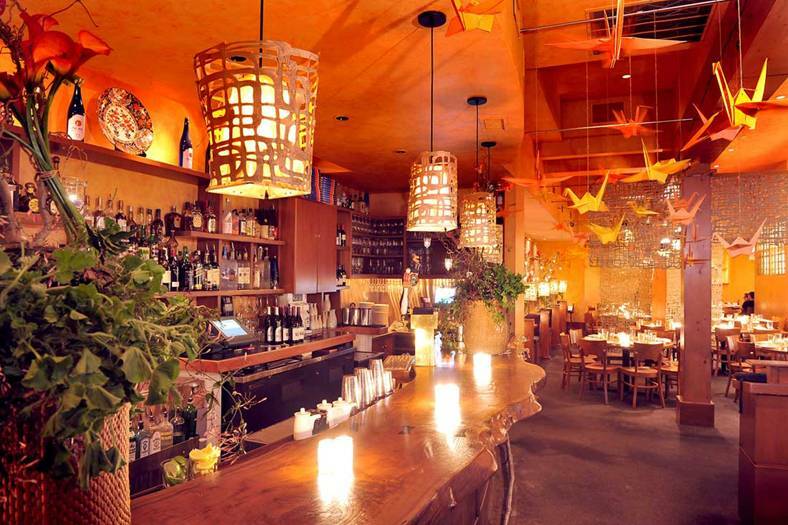 For more casually sophisticated ambiance, “I love Cache Cache, Aspen’s upscale French bistro. You must try the rack of lamb!” There’s a balanced mix of curious tourists and gracious locals here, drawn in by the delicious dishes and an eclectic 106-page, 1,000-label list that represents the world’s major wine regions. The bar is a scene, showcasing 4,000-bottle, temperature-controlled wine cellar set behind a wall of glass. This is also a popular spot amongst celebrities and after a punishing day at the slopes you might just find yourself dining next to Elle MacPherson or rock star Dave Navarro. Also perfect for fine dining is the “excellent service and warmth of Piñons”. Its traditional American fare has held its own for more than 20 years in Aspen. You can’t go wrong with the ample portions of venison, veal chops, steak offerings, and delicious salads and desserts. Housed in a charming Victorian historic mining cabin in Restaurant Row, Steakhouse No 316 is a high-end stylish meat lover’s paradise. This dining treasure is small and cozy, with elegant touches of velvet-tufted banquettes, leather chairs and wood floors, but still “a steakhouse to compare to New York’s best list”. Order your favorite cut and the attentive staff will help you pair it with some of the wonderful sauces, such as the blue cheese bone marrow. The wonderful generous portion of the utterly decadent white chocolate Bourbon bread pudding is the perfect way to end an absolutely decadent meal. Celebrate the Year with Us! What would you prefer to do over the winter break – Heat up the slopes or Chill out on a sunny beach? Planning a winter getaway? Will you be escaping the cold and finding a beautiful beach… or will you be zooming down the slopes during your Christmas holidays? 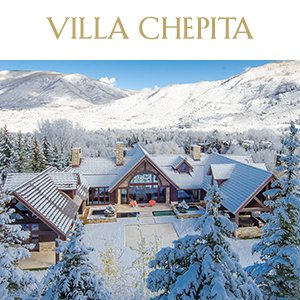 At Villazzo we let you choose between sunflakes and sunshine by offering spectacular 5-star properties in Aspen for the perfect winter wonderland retreat and Miami Beach for those escaping the winter chill in favor of fun in the sun and gorgeous breezy weather. Best to reserve your getaway soon while there is still availability! 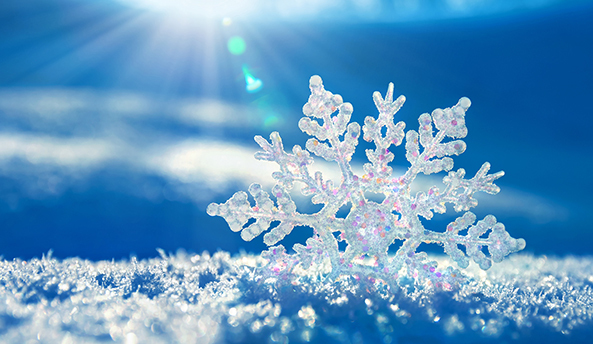 Dreaming of a White Christmas? 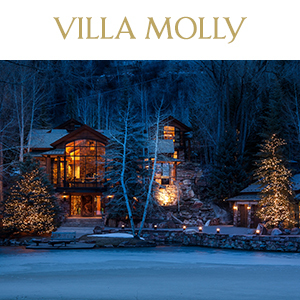 The historic streets and scenic mountains of Aspen provide the perfect holiday backdrop. Cozy up to a warm fire at your own private VillaHotel after a day out skiing with the family. Why Miami for New Years? The combination of sunny Florida skies and a buzzing nightlife have electrified this sultry city on the Atlantic Ocean, making it a hotspot destination to bring in the New Year. 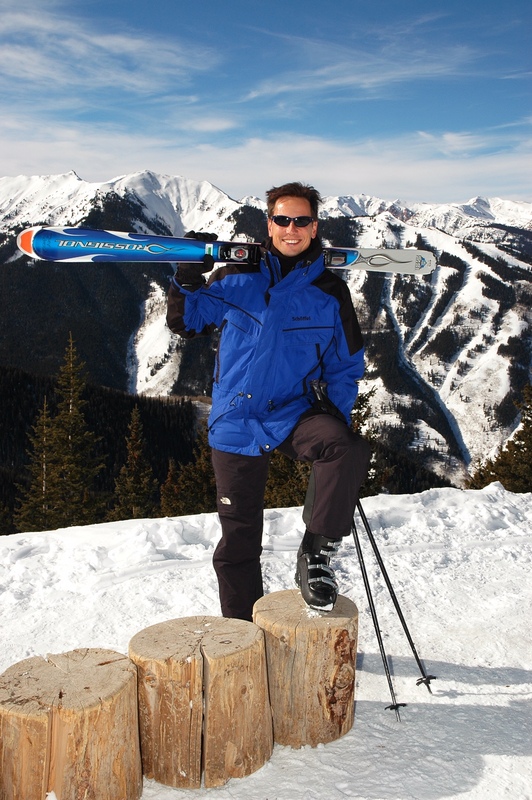 Thanksgiving is only 4 weeks away – Get your Skis on! It’s time to hit the slopes! The legendary Aspen Mountain and Snowmass Mountain resorts will open in only 4 weeks just in time for the Thanksgiving holiday. 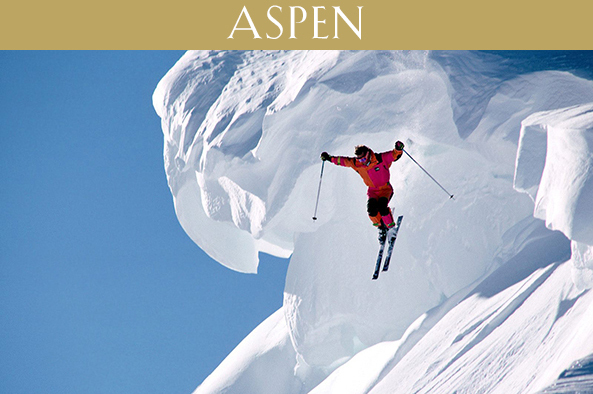 With nearly 70 years of skiing history, Aspen boasts a varied terrain suitable for every level of skier in your family. 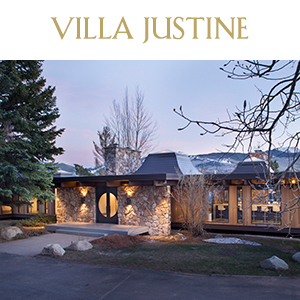 Be among the first to savor the ski season before the peak holiday rush begins and book now to enjoy incredible savings on luxury accommodations with Villazzo with a one-time unprecedented discount up to 30% at Villa Marylou, Villa Elisa or Villa Molly. Gather your family and retreat to the mountains for a relaxing getaway at one of these ultra exclusive properties. antage of early savings. 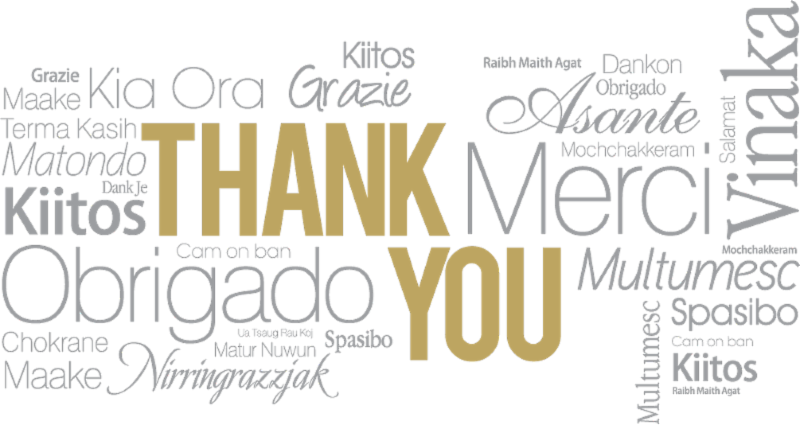 As a Villazzo guest, you will be thankful for every moment of your stay in your own private VillaHotel. 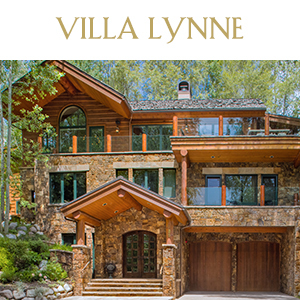 …AND 7 MORE SPECTACULAR PROPERTIES IN ASPEN. Save up to 30% on your private getaway at Villa Marylou, Villa Elisa or Villa Molly when you book a minimum of 7 nights from October 29 – November 30, 2015. Contact us today to make a reservation and indulge in the comfort and privacy of a luxury villa with all the services of a 5-star hotel. 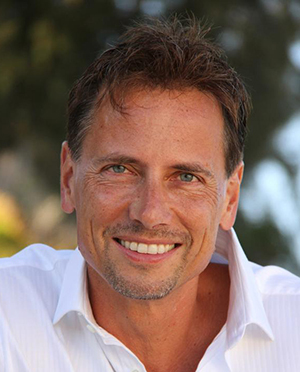 Villazzo President Christian Jagodzinski and his staff bid farewell to the summer breeze of the French Riviera after a booming season in Saint-Tropez. 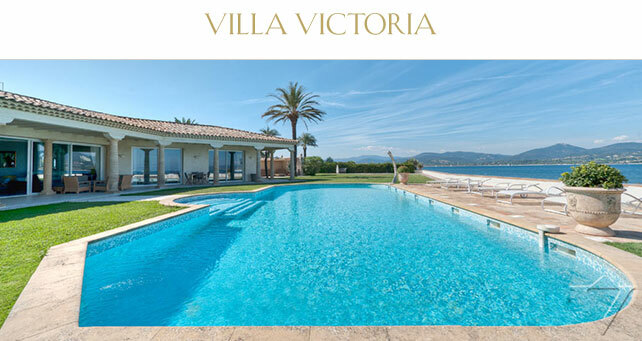 The coastal town, long popular with the international jet-set crowd over the summer, is home to ten spectacular Villazzo villa properties, all of which were fully booked throughout the summer. 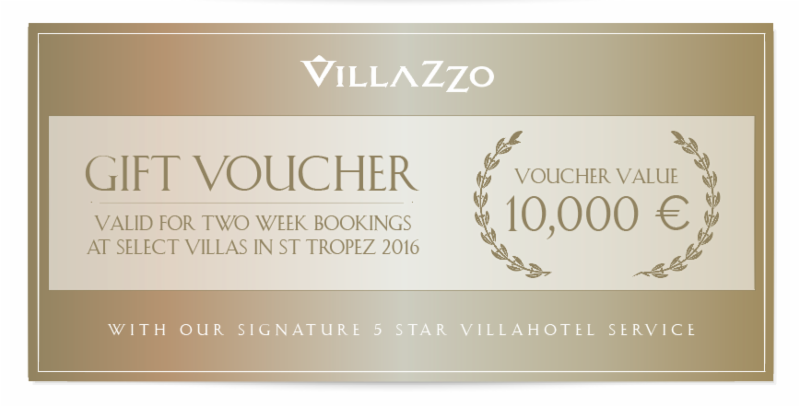 The voucher is redeemable until October 29, 2105 for minimum 02 week bookings in St Tropez in 2016 with our signature 5 star VillaHotel service, contact us at villas@villazzo.com for villa availability details. Book now to reserve your next summer 2016 escape to the most exclusive destination in Europe! 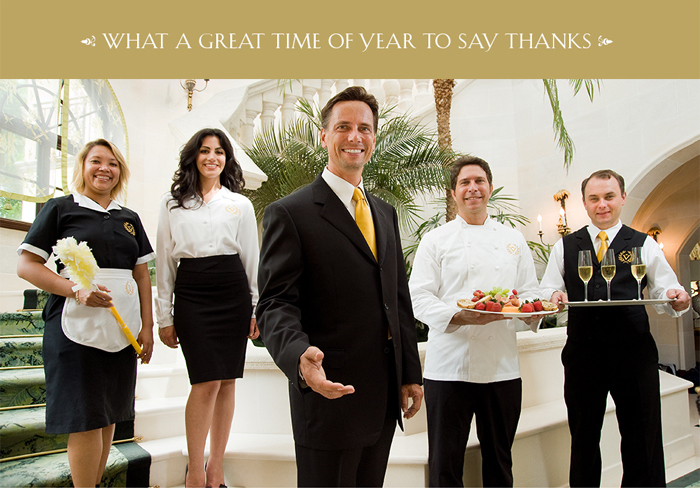 We hope we will have the opportunity to serve you again and provide the very best luxury villa rental experience. It’s not too late for the perfect getaway, but since many guests have already expressed interest for 2016 we suggest you book now to secure your dream villa in St Tropez. Sit back, relax and let us do the work for you. 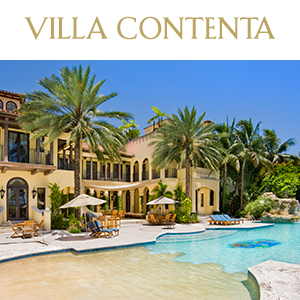 When you rent one of Villazzo’s exclusive luxury villas in Miami, Aspen or St Tropez, we convert it into a 5-star hotel mansion to the finest detail, including the most extravagant in-house dining experiences you can dream of. Villazzo can customize your personal epicurean journey with a “Restaurant at Home” service to cater the most sumptuous breakfast/brunch, lunch, and dinner menus. 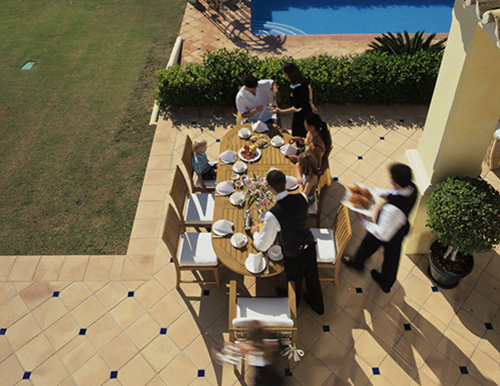 Service options at your home luxury rental include our “a la carte” service, which offers our guests a full team to use for specific occasions, such as a private dinner party or an unexpected business luncheon. If you prefer for your luxury vacation to be an everyday culinary indulgence, booking a 5-star service level will allow to have your kitchen eight hours a day led by your own full-time professional private chef, who can produce an array of signature dishes – gastronome’s delights incorporating only the best-cut meats, fresh ingredients and seasonal produce. If your choice of vacation destination during this month of August and September is Miami, you could skip the popular Miami Spice promotion and luxuriate instead in your own private three-course meal . 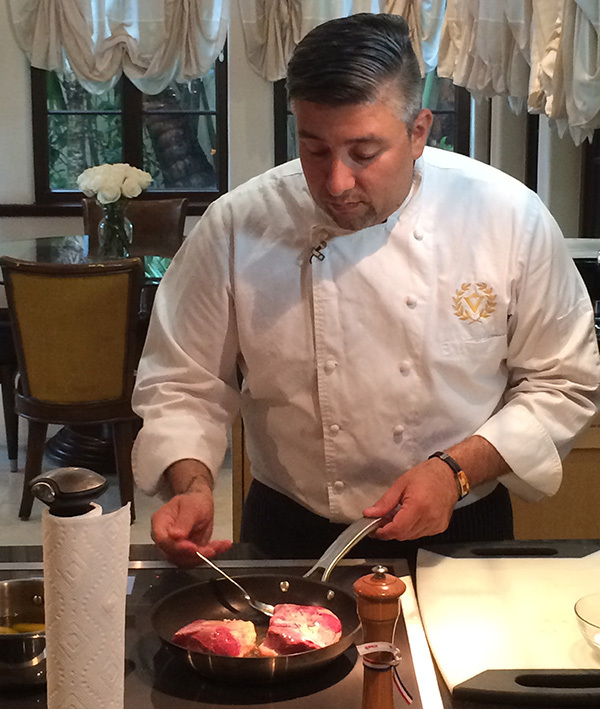 Villazzo Chef Jason’s personal table is a globally inspired cuisine that will wow you every time with the most sophisticated and intricate dishes. Among current starters is the delicate Florida baby heirloom tomato salad with olive oil pan fried croutons, baby burrata cheese shallots, Brazil pepper chimichurri and minis 8 sherry vinegar. For a main course, delight your senses with entrees such as the fragrant pan seared Hudson valley duck breast with confit fingerling potatoes and broccolini, and a honey ginger gastric. A refined dessert of macha green tea soufflé with lemongrass cream anglaise is also a highlight of this Chef’s original fare. With Villazzo’s “Restaurant at Home” you will wine and dine the best of Miami flavor fusion, with a backdrop of the most breathtaking views of the Magic city. To make your stay even more memorable, Villazzo offers you the option to have your bar fully stocked with your own cultivated list of wine and spirits. Our luxury villas are often the backdrop for photo shoots for the top fashion and lifestyle magazines. 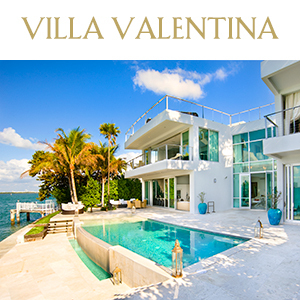 After an exhaustive search, Russian Vogue chose the stunning Villa Contenta on exclusive Palm Island in Miami Beach for a fashion editorial in this month’s June edition. Villazzo President and Founder Christian Jagodzinski personally welcomed the Australian model and lifestyle icon as well as Vogue’s crew of photographers, stylists, editors and assistants who stayed at Villa Contenta during the two-day shoot. An international jetsetter herself, Elle felt right at home at the opulent villa with its gracious rooms and spectacular outdoors spaces. 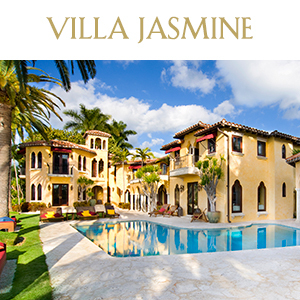 We hand-pick only the top ten villas in the destinations we serve, Miami, Aspen and Saint-Tropez. Within our collection are villas of many different architectural styles and layouts, so you can select the one that matches your own personal esthetic. Whether you choose sleek, modern, classic or exotic, we can cater to every style. Looking out over magical water views across Biscayne Bay, this sprawling 11,000 sq ft property offers genuine old world Spanish Colonial style combined with fully self-catering modern comfort. Only five minutes away from South Beach this 6-bedroom hotel includes a master bedroom with a walk-through dressing room and a bathroom with an open-sided shower. Enjoy the beach volleyball court and a state-of-the-art gym before lounging alongside the majestic 130 ft heated pool with a Jacuzzi, swim-in grotto and waterfall. Watch fantastic sunsets from the private dock and floating deck and dine on the beautiful terrace equipped with a bar, fridge and barbecue. A grand piano, a pool table, a movie theater and a bar ensure a great ending to a perfect vacation day. Sunset Island is the home to this sumptuous 6 king-size-bedroom VillaHotel, with Moroccan and Indian architecture and decor running throughout the house and outside area. Individual in style, modern and relaxed, Jasmine will sweep you away with its array of ornate furnishings, arched windows, and warm color palette. Enjoy your own private oasis complete with a stunning mosaic fountain and a geometric swimming pool surrounded by a spectacular display of lush vegetation. Ideal for indoor and outdoor entertaining, this villa features a Hookah room and a home theater and a roof-top Jacuzzi that allows for the most exquisite views of the Miami skyline. 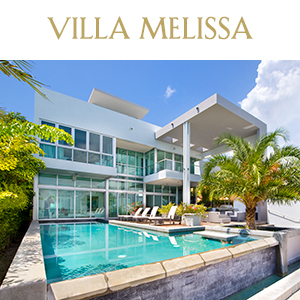 A home of singular luxury, this contemporary 4-bedroom villa is a nod to elegance. Wrapped by floor to ceiling glass windows, the abundance of lighting gives this villa an amazing sense of space and its open-plan living is striking in its white décor and sleek furnishings. Clever in design from every standpoint, Melissa offers four bedrooms of spare sophistication, a modern kitchen with stainless steel appliances and a fantastic outdoor dining area. The serene Koi pond helps set the tone of a relaxing stay. You will enjoy unparalleled views of Miami Beach, home to a renowned shopping, dining and clubbing scene. But you might just want to lounge your vacation days away in grand style in the indoor hot tub overlooking the water or by your own private infinity pool. Looking for the best St. Tropez hotspots? It goes without saying that Villazzo Founder and CEO, Christian Jagodzinski, has been jet-setting to many different places in the world. Yet, he keeps coming back to Saint-Tropez, not only because of his various business interests there, but also for the beautiful weather (and people! ), great restaurants and hot nightlife. We asked him to share his favorite places to hang out, dine, drink and party in this tiny coastal town. Here’s the scoop from someone who really knows the scene. “Back in the days when I first came to St. Tropez, we still had “La Voile Rouge” with their famous daytime parties and champagne spraying. The owner has since passed away, and the “in” crowd has moved elsewhere: Mainly to Nikki Beach St Tropez, and more recently also to Bagatelle St Tropez. 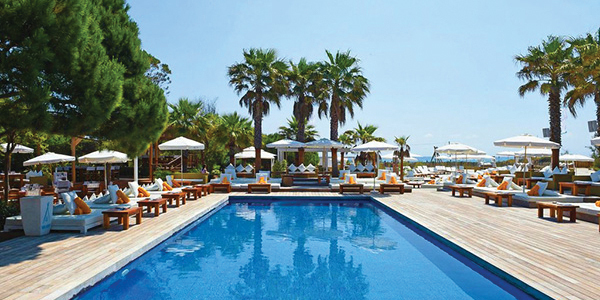 Nikki Beach St Tropez is still my favorite – it is larger, has a pool as an attractive centerpiece, and better service. 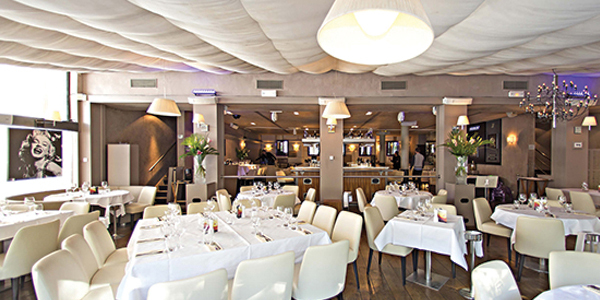 Bagatelle St Tropez is smaller and more intimate, and attracts people that know their staff from the New York original. Both Nikki Beach St Tropez and Bagatelle St Tropez are not just restaurants or beaches; they both live off a party scene popular with the rich and beautiful. Come for late lunch (rarely before 3pm), and be prepared to be hit by champagne showers after 6pm… or arrange them yourself if you dare. At Nikki Beach St Tropez, my favorites are their daily fresh seafood specials, their large sushi boats, or the “classic” chicken satay, with various chilled glasses of Chateau Minuty’s Rosé et Or. Be sure to try the Pistachio Tiramisu – my favorite dessert in all of St. Tropez. Of course, there is also the famous “Club 55” without which no visit to St. Tropez would be complete. There’s no loud music or Champagne spraying there – but great fish and the “incontournable” (= must have) vegetable platters for the whole table. 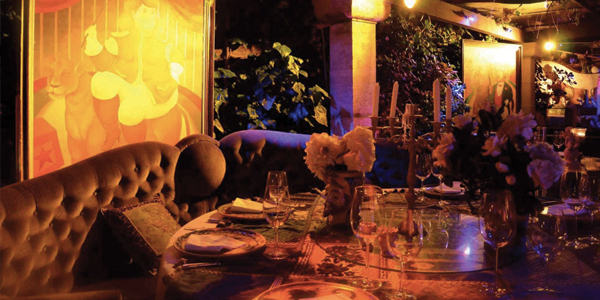 “Brasserie des Arts has re-started the “dine with a DJ” experience after famous “Villa Romana” lost a little bit of appeal due to stricter noise ordinances. Go to dinner just before 11pm – and by midnight you’ll sit amidst loud club music, with the first diners dancing on the tables! Open until 3am every night. 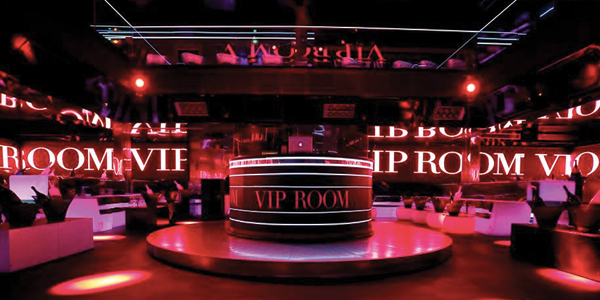 “There are only three nightclubs in St. Tropez: Caves du Roy, VIP Room, and Papagayos. The latter has become the meeting point for teenagers coming with their parents, so that’s not for me. My favorite is still the oldest, most reputable of the three: Caves du Roy in Hotel Byblos. 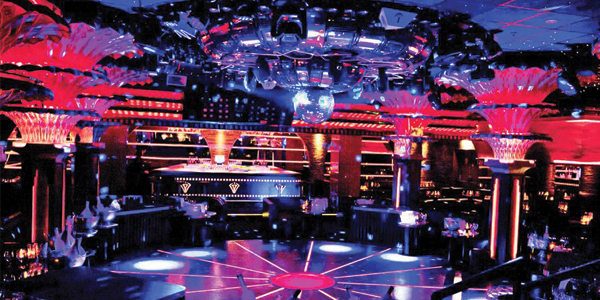 Even with its 70s décor, it remains a chic club and “the” place to be seen for late night dancing and pre-dawn partying. Famous DJ Jack E with his “Welcome to St. Tropez” interjections knows how to get everyone dancing. The most lavish of the party-goers will end up in ordering wars over the 38,000 Euro “Mathusalem” sized Cristal bottles. Christian has also handpicked his Top 10 selection of luxury villas in every price range for you. Trust him for his picks! Saint-Tropez season is just starting to heat up. Reserve your escape to the most exclusive destination in Europe with Villazzo and indulge in our unforgettable “Summer Delight” package. 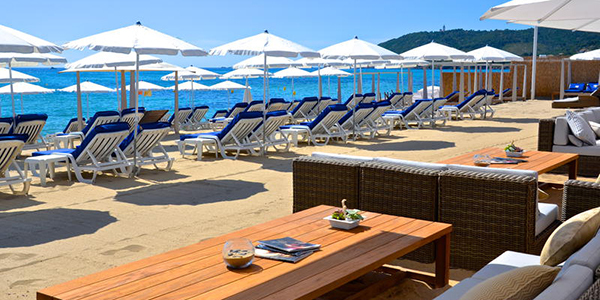 to indulge in the hot scene at our favorite, hand-picked destinations in Saint-Tropez. Nikki Beach isn’t just a restaurant; it’s a scene. Villazzo’s founder is a partner of this hot-spot so count on you and your friends being pampered with VIP treatment while enjoying poolside drinks and an amazing sunset view. Don’t miss guest DJ superstar Bob Sinclar on August 15 playing the best dance and house music. Enjoy a long, late lunch, order sushi and fresh seafood or the famous chicken satay, with a chilled glass of Côtes de Provence rosé to wash it down. End your day by spraying cases of Champagne during the daily “Sunset Party” from 6pm to sunset. 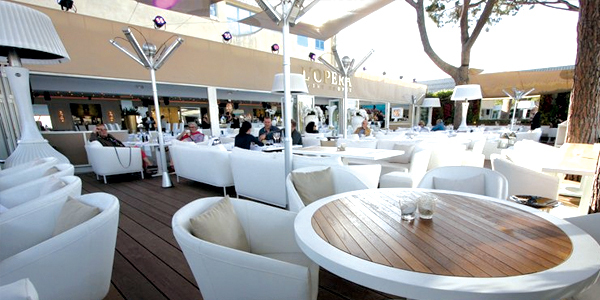 Located on the popular Place des Lices in the heart of town, this is the place to dine and party in Saint-Tropez. Join the hip & beautiful dinner crowd and indulge in lamb chops with goat cheese, scallops, or lobster salad. The desserts are delicious. As the night deepens, the music gets louder and the champagne flows. Don’t be surprised if you are dancing on tables by the end of the night! Located in the Hôtel Byblos, this cavernous and chic club is the place to be seen for late night dancing and pre-dawn partying. Join the lively crowd for an unforgettable night of music and dancing with famous DJ Jack E. End the night in dazzling style with some “Mathusalem” Roederer Cristal champagne for 38,000 € a bottle if you so desire to keep up with the Arab sheikhs. An 8 bedroom palatial villa located directly on the water. Villa Victoria boasts an expansive swimming pool, outdoor bar, barbeque, and dining areas, and captivating fountains, garden paths, and terraces. 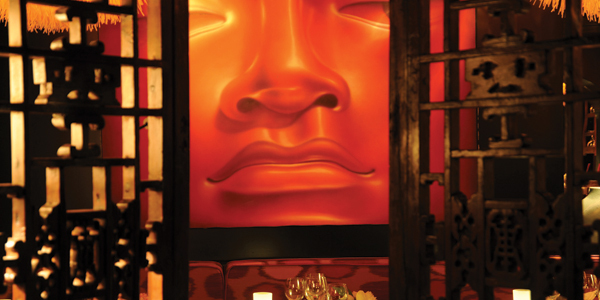 The interior is airy and open, blending classical décor with hints of modern, Asian sensibilities. A well-appointed gourmet kitchen and dining area offers luxurious entertaining, while large, comfortable bedrooms and spa-inspired en-suite bathrooms pamper guests. Arrive by helicopter directly from the sea into your backyard. 8 bedroom minimalist contemporary near Escalet Beach. Majestically set onto the highest hilltop in its surroundings, Villa Margot is a masterpiece with private, well-manicured grounds giving way to a spectacular vanishing-edge pool, covered terrace, and outdoor living and dining areas, with a view to die for. Inside, find an open floor plan, exquisite gourmet kitchen, dining room for 18 guests, and comfortable living and lounging areas. 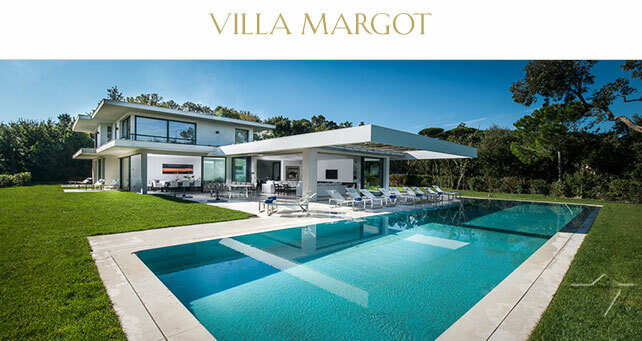 A 5 bedroom villa that truly captures the personality of Saint-Tropez. 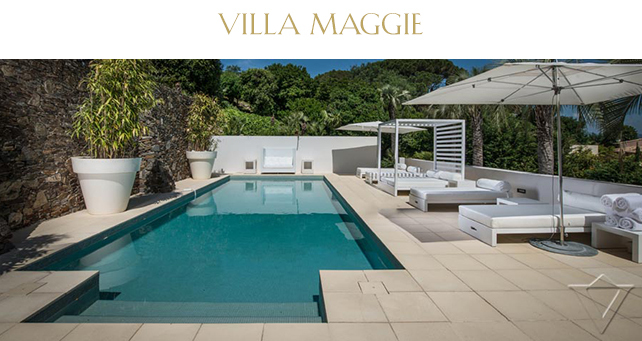 At Villa Maggie you have your own private swimming pool and a gorgeous outdoor patio overlooking the pristine waters and lush foliage of Saint-Tropez, steps away from the vibrant port. The soft white furniture and five elegantly crafted bedrooms compliment the vibrant greens and blues that make Saint-Tropez one of the most beautiful locations in the French Riviera. A modern masterpiece walking distance to town is a rare find in Saint-Tropez. 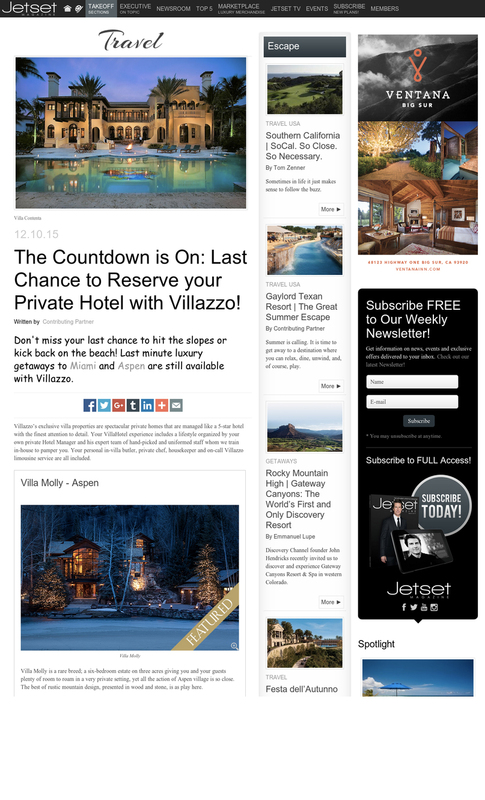 You are currently browsing the Luxury Home Rentals in Miami, Aspen & St. Tropez – Villazzo blog archives for the year 2015.